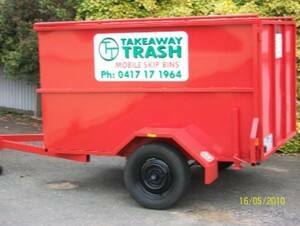 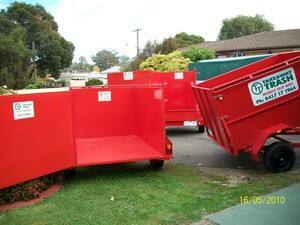 A fast, cheap, efficient & friendly alternative to remove all your unwanted rubbish, green waste & junk. 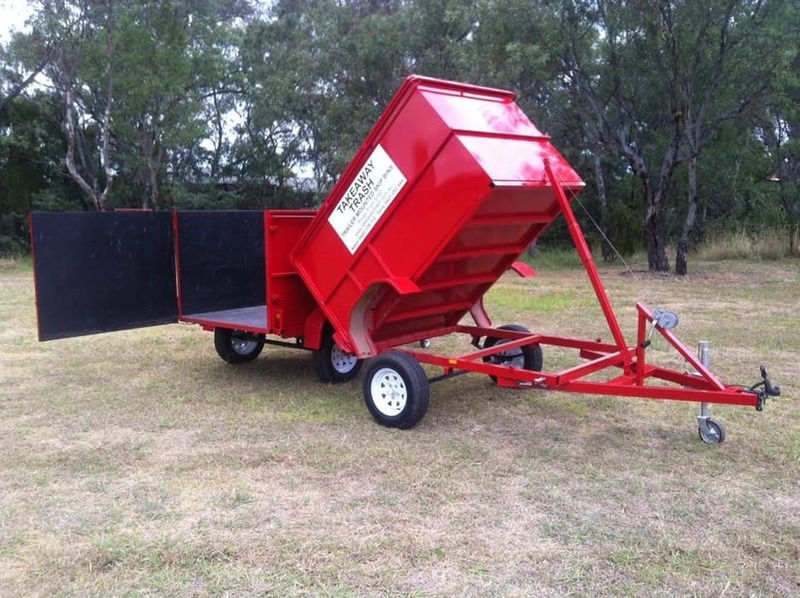 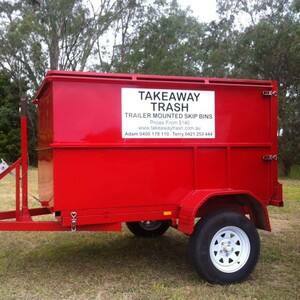 We have designed 3.5m3 mobile skip bins with rear doors that can be easily moved into any position close to the waste source therefore alleviating the need for backbreaking trips to your nature strip or lane-ways where normal skips are placed. 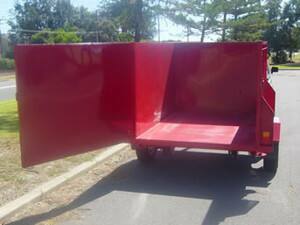 The skips are delivered by a normal vehicle alleviating the risk of contact with overhead power lines or damaging your driveway and lawn area by heavy crane trucks which in turn, makes it safer for everyone. 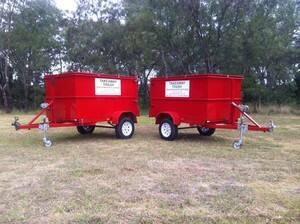 The 1.8 meter height of our trailers makes getting through carports, garages, and under the veranda easier than ever before, take the skip to the rubbish not the other way around.